If you have been injured in an accident on the job or suffer from an occupational disease, The Joy Law Firm can help. The Consultation is FREE! The Joy Law Firm handles a wide variety of personal injury cases, from car accidents to wrongful death and medical malpractice. The Consultation is FREE! The Joy Law Firm, LLC is located in the heart of Old Mandeville at 620 Girod Steet right next to the Mandeville Trail Head. Practicing in both Worker’s Compensation Law and Personal Injury Law, the attorneys at The Joy Law Firm can assist with a wide array of services. With over 30 years of combined experience, we know exactly what needs to be done to help you get the money you deserve and we will go to work immediately to do so. If you would like to read more about our firm and the attorneys that help serve you visit our About the Firm page. One of the most important things when facing difficult legal issues is to have an attorney that cares about you and your situation. And yet, one of the most common complaints that many people have about lawyers is that they don’t provide personal service. At The Joy Law Firm, LLC, we put our clients first. As your attorneys, we will take the time to get to know your situation, the issues that are important to you, and always keep you informed about the status of your case. If for some reason, your attorney is unable to take your call, it is our promise that your attorney, not an assistant, will return your call within 24 hours. That’s the Joy Guarantee! And when you do talk to your lawyer, he or she will take their time and be sure to answer any question you may have. If you have been injured in an accident on the job or suffer from an occupational disease, you need to immediately consult an experienced Workers’ Compensation attorney. Workers’ Comp is a very complex and specialized area of law. Most people simply do not know their rights under the law. Many work comp insurance companies take advantage of this. The most important thing to remember is that it is not your employer’s nor the insurance company’s job to put your needs first. And they won’t. Louisiana workers’ compensation is designed to provide medical care and disability income for as long as you are unable to work due to a work-related injury or illness. However, insurance companies may not pay those benefits willingly. It often takes a lawyer’s help to receive the compensation you deserve. 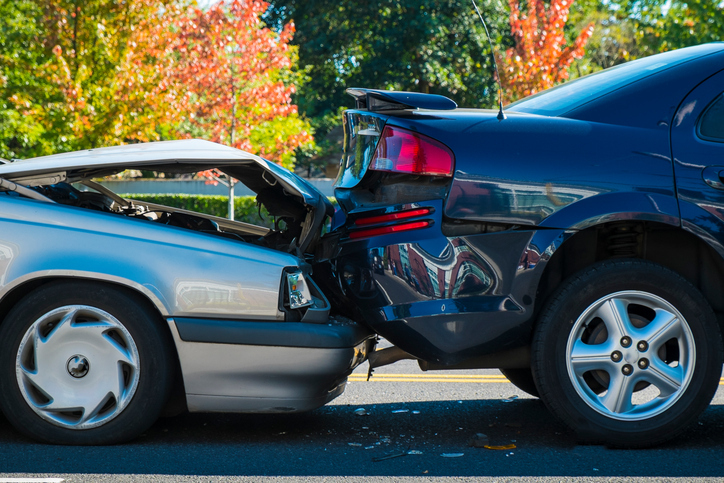 When you or a loved one has been involved in an accident, the feelings and stress can be overwhelming. The addition of any potential legal action required just adds to that stress. Insurance companies know that most people just want to get it all over with. Well, the insurance companies use that to their advantage. After all, their job is to save money! Insurance companies will take advantage of your stress and lack of knowledge offering you as little as possible for your situation regardless if your deserve more. That’s why it is essential to seek help from an experienced personal injury attorney. At the Joy Law Firm, we will do everything in our power to ensure you are not taken advantage of and will work tirelessly to get you the money you deserve. We provide our clients with the care and respect they deserve while helping them navigate through the issues that they face. How much will it cost me to get a workers' compensation or personal injury attorney? Nothing! At least not unless we get you some money. There are no upfront fees to retain our services for either workers’ comp or personal injury. We only get paid if you do. I will definetly recommend The Joy law firm to anyone, I do not have any complaints about my experience with Mr. Joy. I always was able to speak with him when I called, unless he was busy with another client. He also worked to get the best results possible regarding my case. Again my overall experience was a pleasant one, Thanks again for your service!!! I met with Randall yesterday He had answers to every one of my questions and Randall moves very quickly I definitely made a great decision when I retained him. Randall was great to me. He was always the one to speak to me, not an assistant. I never had problems getting in touch with him to answer any questions I had regarding my case.